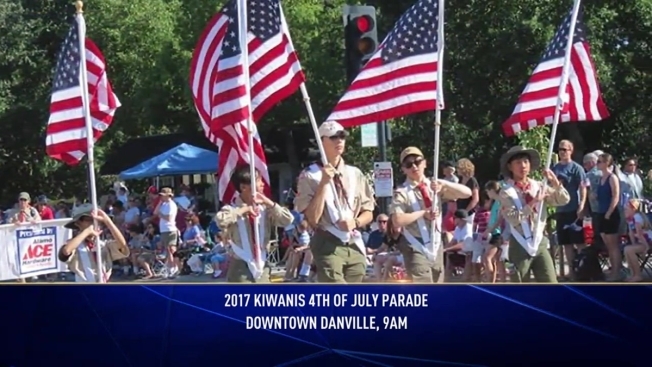 Join the Kiwanis Club of San Ramon Valley for the annual 4th of July parade in downtown Danville on Tuesday, July 4th at 9am. NBC Bay Area Consumer Investigator Chris Chmura, will emcee this year’s event. Since, 1975 the parade has attracted 40,000-50,000 people to downtown Danville each year. Enjoy the community, festivities, and celebrate America’s birth. Special thanks to the Town of Danville and local businesses, individuals and community groups such as the Aktion Club and Boy Scouts of America for sponsoring the event. All proceeds raised through sponsorship and participant registration fees are redistributed to local nonprofits through grants issued by the San Ramon Valley Kiwanis Foundation. Parking in or near the downtown area will be very limited and alternative travel arrangements such as walking or biking are strongly recommended.